A doctor engages in corruption in an attempt to ensure his daughter passes an exam. 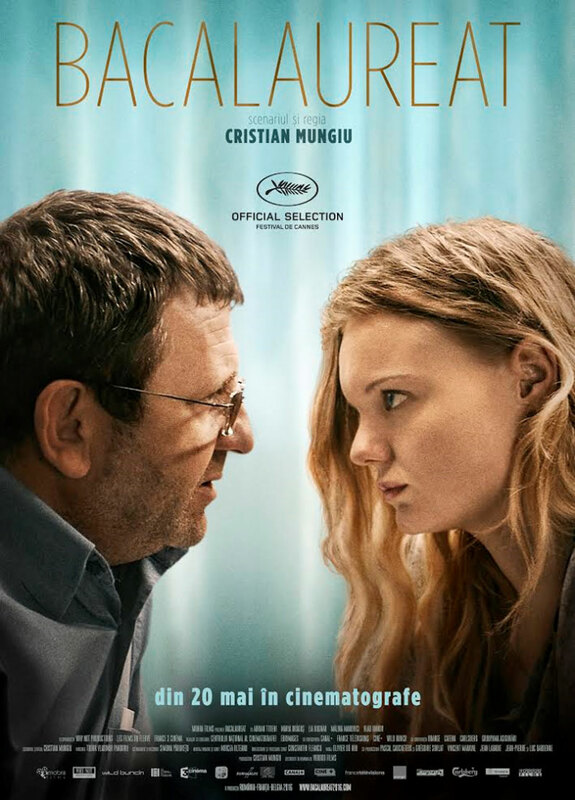 Over a relatively short career, Romania's Cristian Mungiu has established himself as one of world cinema's greatest talents with acclaimed dramas like 4 Months, 3 Weeks and 2 Days and Beyond the Hills. His latest, Graduation, was one of the most anticipated premieres at last year's Cannes Film Festival, and was received with rapturous reviews, but I'm left baffled at the reaction to a movie that's as lazily directed, over-written and derivative as this one. Mungiu opens his film in intriguing fashion, with a stone hurled through a window in the home of Romeo (Adrian Titieni), a middle-aged doctor in the Romanian city of Cluj. Rushing outside, Romeo is unable to find the mystery vandal. After dropping off his daughter Eliza (Maria-Victoria Dragus) at school, he makes a stop at the home of his mistress, Sandra (Malina Manovici), a teacher at Eliza's school. The aptly-named Romeo's cavorting is interrupted by a phone call informing him Eliza is in his own hospital, having been the victim of an attempted sexual assault. Rather than worrying over her immediate condition, Romeo is more concerned with his daughter's ability to sit the following day's exam, the result of which will determine if she can avail of a Cambridge scholarship. Unsure of her mental capacity to ace the test, Romeo enlists the aid of an old friend turned politician to pull some strings, and thus begins a descent into corruption that threatens to destroy everything he's built. Sitting my final school exams in the Ireland of the early '90s, it was drummed into me that a positive result meant an escape from my country and a chance at a life in the UK, US, Australia or any of the many countries young Irish people fled to back in those dark days, so the central theme of Mungiu's drama resonated with me on a personal level, as it no doubt did with the Romanian ex-pats who made up the majority of the festival audience for its ADIFF screening. Whether to quit your country for a better life elsewhere or stick around and attempt to effect change at home is certainly a fascinating subject, but its surrounded here by too much ineffectual padding. The subplot that begins with the breaking of Romeo's window continues with an unknown assailant harassing the doctor, and ultimately leads nowhere, not in an ambiguous but satisfying manner like Michael Haneke's Cache, which is clearly the influence here, but in a fashion that almost suggests Mungiu forgot about this element. It adds nothing to the film save for some cheap intrigue, and by the end it feels like the audience has been cheated. Elsewhere, Mungiu indulges in tired cliches, none more frown-inducing than the played out trope of a car accident involving an animal serving as a portent of troubles to come, a lazy device we've seen in far too many movies recently (Night Moves, A Most Violent Year, A Cure For Wellness, The Invitation, Get Out etc). Mungiu is known for his long takes, but whereas in previous films they were expertly blocked and allowed scenes to breathe, here his avoidance of coverage feels stubborn and lazy, with the camera often placed in what seems like an arbitrary position. For many scenes we're forced to look at the back of his leading man's head, particularly annoying given how subtly expressive an actor Titieni is. Visual storytelling is at a minimum here, with most scenes consisting of extended and over-written conversations, and while some are engaging, they too often veer into cheap exposition. You would be forgiven for believing Mungiu was adapting a stage-play here, and Graduation could give Denzel Washington's Fences a run for its money when it comes to its word count. Sometimes we build filmmakers up and create monsters, giving them free reign to indulge themselves in the worst possible way. Perhaps that's the case with Mungiu. Like no other movie of recent times, Graduation is clearly the work of a great talent, but one who's simply not making an effort this time. Graduation played at the Audi Dublin International Film Festival. It opens in UK/ROI cinemas March 31st.